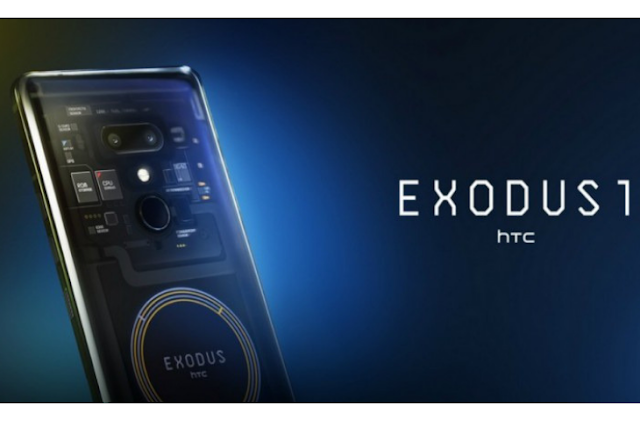 HTC introduces its first blockchain – enabled smartphone dubbed as Exodus 1 that allows the device to be the safest smartphone to store keys which belongs to cryptocurrency. This new device uses decentralized applications and the Exodus 1 being a cryptocurrency-centric smartphone it can be boughtBitcoins or Ethereum. This is something out of the box, and the handset is available on for pre-order for 4.78 ETH or 0.15 bitcoins (approx Rs. 70,600, $960). The smartphone will be shipping in the month of December and is also IP68 certified for Dust and Water resistance. The device will be shipping to 34 different countries as of now, that includes Austria, Hong Kong, US, UK, Norway, New Zealand, Taiwan, Singapore and also parts of Europe. The company claims that the Exodus 1 will come with blockchain encryption that allows the device to be the safest to store keys which belongs to cryptocurrency. It is also called as “Secure Enclave” that is isolated from the smartphone and Android interface running on the phone. Moreover, it also uses a Social Key Recovery mechanism which allows its users to select few trustable contacts who can be given access to their crypto keys and can be assesed when the phone is missing or credentials are lost. Coming to the specs sheet, the handset will come with 6-Inch touch screen Quad HD+ display with 18:9 aspect ratio. Under the hood, we can find a Qualcomm Snapdragon 845 SoC coupled with 6GB of RAM and 128GB of onboard storage. On the rear, we can find dual 16MP camera sensors along with 4K recording at 60fps while on the front there are two 8MP cameras for selfies. The device will run on Android Oreo operating system and has a 3,500mAh battery on the back. The device also comes with Zion Cryptocurrency wallet for easier access. Phil Chen – HTC’s decentralized chief officer said that its been 10 years since the launch of their first Android phone and also almost 10 years since the launch of bitcoin and the genesis block. He also said that Exodus 1 is a foundation element of the crypto internet and for digital assets and decentralized apps to reach their potential there believe that mobile will be the main point of distribution. They are also looking to partner with blockchain community and provided more security to their devices. Design The HTC Desire 12 is the first budget smartphone of the company to come with a bezel-less display. The HTC Desire 12 sports a 5.5-inch HD+ display with 720x1440 pixel resolution. On the other hand, the recently launched Moto G6 comes with a 5.7-inch full HD+ display with 18:9 aspect ratio and Xiaomi Redmi Note 5 Pro features a 5.99-inch full HD+ display with 1080x2160 pixel resolution. All the three smartphones come with a coating of Corning Gorilla Glass on top. Operating system The HTC Desire 12 runs Android 7.1 Nougat operating system topped with company’s own HTC Sense UI. The Xiaomi Redmi Note 5 Pro also runs Android Nougat OS topped with MIUI 9. The Moto G6 comes with Android 8.1 Oreo operating system and the company has announced that the device will also receive Android P update. Processor The HTC Desire 12 is powered by 1.5GHz Quad-Core MediaTek MT6739, while the Xiaomi Redmi Note 5 Pro packs a Qualcomm Snapdragon 636 processor and the Moto G6 runs Qualcomm Snapdragon 450 chipset. RAM and Storage The HTC Desire 12 offers 3GB RAM and 32GB internal storage which can be expanded up to 2TB by adding a microSD card. Whereas, the Moto G6 and the Xiaomi Redmi Note 5 Pro both comes in two variants. The Moto G6 offers 3GB RAM and 32GB internal storage and 4GB RAM and 64GB internal storage and the Xiaomi Redmi Note 5 Pro offers 4GB/6GB of RAM and 64GB internal storage. Camera The HTC Desire still offers a single lens rear camera. The smartphone sports a 13MP rear camera with LED Flash and f/2.2 aperture. There is also a 5MP front shooter for selfies. The Xiaomi Redmi Note 5 Pro and the Moto G6 both feature dual rear camera setup. Both the smartphones boast of 12MP + 5MP rear cameras with LED flash. In terms of selfie camera, the Moto G6 offers an 8MP shooter with LED flash, while the Redmi Note 5 Pro sports a 20MP front camera. Battery The HTC Desire 12 is backed by a 2,730 mAh battery, whereas the Xiaomi Redmi Note 5 Pro and the Moto G6 house a 4,000 mAh and 3,000 mAh battery respectively. Moto G6 is the only smartphone among the three to offer fast charging. Android Oreo is the 'latest' operating system from the search giant Google. Launched last year, the OS has so far managed to grab only 5.7% share of the global Android OS market (as per the latest distribution numbers.) However, smartphone makers are gearing up and are slowly rolling out Oreo update to new devices. So, if you want to buy a new smartphone with Android Oreo then this list is for you. Here we have listed 43 smartphones that are running on Android Oreo operating system. 1. 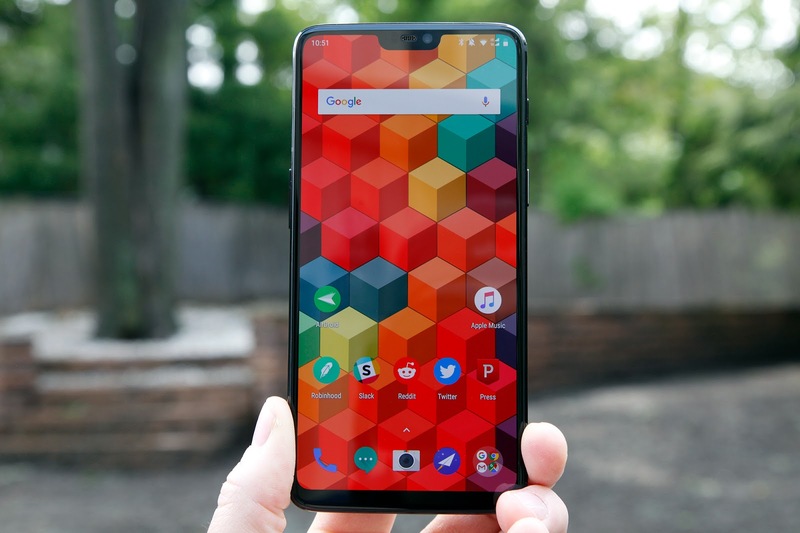 OnePlus 6 : OnePlus 6 is the latest flagship smartphone from the house of Chinese smartphone maker OnePlus. The smartphone runs Android 8.1 Oreo operating system and will also receive Android P update. The handset sports a 6.28-inch FullHD+ Optic AMOLED screen and is powered by Qualcomm Snapdragon 845 processor. The device offers 6GB/8GB of RAM and 64GB/128GB of internal storage. OnePlus 6 comes with a dual rear camera with 16MP (Sony IMX519) +20MP (Sony IM376K sensor) setup and houses a 3,300 mAh battery with Dash charging support. 2. Nokia 8 Sirocco : Nokia 8 Sirocco is the flagship smartphone of Nokia and its runs Android One version of the operating system. The smartphone comes with a 5-inch curved edge-to-edge display protected with a layer of Corning Gorilla Glass. The smartphone comes with dual rear cameras (12MP+13MP) with ZEISS optics. The handset is powered by Qualcomm Snapdragon 835 processor coupled with 6GB of RAM and 128GB internal storage. The device houses a 3,260 mAh battery and supports wireless charging. 3. Nokia 7 Plus : Nokia 7 Plus is another smartphone from Nokia to run Android 8.0 Oreo operating system and sports a 6-inch full HD+ IPS display. The device is powered by Qualcomm Snapdragon 660 SoC and offers 4GB of RAM and 64GB internal storage. It comes with a 16MP front camera and packs a 3,800 mAh battery. 4. 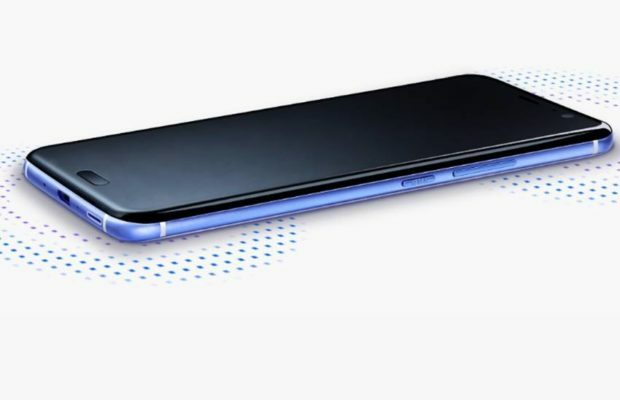 Honor 10 : Honor 10 is the flagship smartphone of Huawei’s sub-brand Honor. The smartphone comes with Android 8.1 Oreo operating system out-of-the-box topped with EMUI 8.1 UI. Honor 10 is powered by an octa-core Kirin 970 processor and features a 5.84-inch LCD FHD+ display of 1080 x 2280 pixels resolution. The smartphone comes with a dual rear camera setup, which consists of 24MP primary camera and 16MP secondary camera. The front of the smartphone houses a 24MP selfie shooter. It is backed by a 3,400 mAh battery with fast charging support. 5. Nokia 6 (2018) : Nokia 6 (2018) is this year’s edition of the budget smartphone of Nokia. The smartphone runs Android 8.0 Oreo out of the box and is powered by Qualcomm Snapdragon 630 processor. The device features a 5.5-inch full-HD IPS LCD display and has 4GB of RAM and 64GB inbuilt storage. It has 16MP rear camera with f/2.0 aperture along with an 8MP front camera with f/2.0 aperture. The smartphone offers all the essential connectivity options with 3,000 mAh battery. 6. ​ Sony Xperia XA1 Plus : Sony Xperia XA1 Plus also receive Oreo update and now the smartphone runs Android 8.0 Oreo operating system. The smartphone comes with a 5.5-inch full HD display and is powered by Mediatek MT6757 Helio P20 processor. The smartphone offers 3GB/4GB of RAM and 32GB of internal storage. The device packs a 3,430 mAh battery and sports a 23MP rear and 8MP front camera. 7. ​ Nokia 1 : Along with the Nokia 7 Plus and Nokia 8 Sirocco, HMD Global also launched Nokia 1 smartphone running Android 8.0 Oreo. The device offers 4.5-inch FWVGA display and is powered by a MediaTek processor. The device houses a 2,150 mAh battery and offers 1GB of RAM and 8GB internal storage. 8. Samsung Galaxy A7 (2017) : Along with the Samsung Galaxy A5 (2017) and the Galaxy A7 (2017), the Samsung Galaxy A7 (2017) also received Android Oreo update. The device consists of a full HD 5.7-inch display and is powered by Exynos 7880. The smartphone offers 3GB of RAM and 32GB internal storage which can be expanded further. It is backed by 3,600 mAh battery and 16MP rear and front camera. 9. ​ Sony Xperia XA1 Ultra : Another Sony Xperia smartphone to receive Android Oreo update is the Xperia XA1 Ultra. The smartphone is powered by a MediaTek processor and sports a 6-inch display with full HD resolution. The smartphone has a 23MP rear camera and a 16MP front shooter. The device is backed by a 2,700 mAh battery and offers 4GB RAM and 32GB inbuilt storage. 10. Honor 7X : Launched last year in December, the Honor 7X also received Android Oreo update earlier this year. The Honor 7X now runs Android 8.0 Oreo topped with EMUI 8.1 UI layer. The Honor 7X sports a 5.93-inch full-HD+ bezel less display and offers 4GB RAM and 32GB/64GB internal storage. The smartphone boasts of dual rear camera with 16MP primary sensor and 2MP secondary sensor. 11. Sony Xperia XA1 : Sony also rolled out Android Oreo update for its Xperia XA1 smartphone earlier this year. The smartphone comes with a 5-inch HD display and came with Android 7.0 Nougat operating system. It is powered by a MediaTek processor clubbed with 3GB of RAM and 32GB internal storage. The smartphone sports a 23MP rear shooter and an 8MP selfie camera. The device packs a 2,300 mAh battery and offers all the connectivity options. 12. ​ Samsung Galaxy A5 (2017) : Launched with Android 7.0 Nougat operating system, the Samsung Galaxy A5 (2017) also received Android 8.0 Oreo update. The smartphone is powered by company's own Exynos 7880 processor clubbed with 3GB of RAM and 32GB internal storage. The smartphone features a 5.2-inch full HD display and sports a 16MP rear camera with LED flash and a 16MP front camera for selfies. 13. Moto Z2 Play : In March this year Lenovo-owned Motorola started rolling out Android Oreo update for its modular smartphone Moto Z2 Play. The smartphone features a 5.5-inch Full HD Super AMOLED display and is powered by Qualcomm Snapdragon 626 processor . The device offers 3GB/4GB of RAM and 32GB/64GB internal storage. In terms of camera, the handset offers 12MP rear and 5MP front camera. 14. ​ Samsung Galaxy A3 (2017) : Another Samsung Galaxy A series smartphones that received Android Oreo update is the Galaxy A3 (2017) smartphone. The device packs a 13MP primary and 8MP secondary camera and is powered by the company's own Exynos 7870 SoC. The smartphone offers 16GB internal storage and 2GB of RAM. It is backed by a 2,350 MAh battery and has a 4.7-inch HD display. 15. Moto Z Play : Last month Motorola started rolling out Android Oreo update for its modular smartphone Moto Z Play. The smartphone was launched in India in 2016 with Android Marshmallow and now it runs Android Oreo. The device has a 5.5-inch full-HD Super AMOLED display and is powered by Qualcomm Snapdragon 625 SoC. Backed by a 3,510 mAh battery, the smartphone offers 3GB RAM and 32GB internal storage. It boasts of a 16MP primary and 5MP secondary camera. 16. Asus Zenfone 3 Deluxe : Asus launched the Zenfone 3 Deluxe in August 2016 and recently, the company started rolling out Android Oreo update on the smartphone. This is the second big update for the smartphone as it has already received Android 7.0 Nougat last year. The Zenfone 3 Deluxe is powered by Qualcomm Snapdragon 821 processor paired with 6GB of RAM and 256GB internal storage. The smartphone houses a 3,000 mAh battery, 23MP rear and 8MP front camera. 17. ​ Nokia 5 : Nokia 5 received Android 8.0 Oreo update earlier this year. The smartphone was launched in June last year along with the Nokia 6 and Nokia 3. The smartphone comes with a 5.2-inch IPS LCD display and 2GB of RAM and 16GB internal storage. The device is backed by a 3000mAH battery and Qualcomm Snapdragon 430 processor. It sports a 13MP rear and 8MP front facing camera. 18. ​ Nokia 3 : Nokia 3 was also launched last year with Android 7.0 Nougat operating system out-of-the-box. The company has now started the beta testing of Android 8.0 operating system for the smartphone. The handset has a 5-inch HD display and is powered by quad-core MediaTek processor. It houses a 8MP rear and front camera and 2300mAH battery. 19. ​ HTC U11 : HTC U11 is the flagship smartphone of the company which was launched last year in June. The Taiwanese manufacturer has now started rolling out Android 8.0 Oreo update for the smartphone. The main highlight of the U11 is its ‘squeezable' side bezels. The smartphone consists of eight sensors on the side bezels to register the squeeze. These sensors are integrated with the Edge Sense and can be used to launch any app through long press. It is powered by Qualcomm Snapdragon 835 processor paired with 8GB of RAM. 20. HTC 10 : HTC launched its HTC 10 smartphone in April 2016. The company has now started rolling out Android 8.0 Oreo update for the same. This is the second big update for the device as it received Android Nougat update in February last year. The HTC 10 is powered by Qualcomm Snapdragon 820 processor clubbed with 4GB of RAM. The device sports a 5.2-inch QHD super LCD display and 12MP UltraPixel camera at the back along with a 5MP selfie camera. 21. Infinix Note 4 : Infinix Note 4 is the budget smartphone of the company and it has recently received Android 8.0 Oreo update. The device is powered by octa-core MediaTek processor paired with 3GB of RAM and 32GB internal storage. It is backed by a 4300mAH battery and 5.7-inch full HD display. The smartphone sports a 13MP primary camera and 8MP secondary shooter. 22. ​ Samsung Galaxy S8 : Samsung Galaxy S8 is the high-end smartphone from Samsung to receive Android 8.0 Oreo operating system update. The smartphone comes with Infinity display and is powered by company’s own Exynos processor. It offers 4GB of RAM and 64GB internal storage which can be expanded further. 23. ​ Samsung Galaxy S8+ : Along with the Samsung Galaxy S8, the Galaxy S8+ also received Android Oreo update with the latest security patch. This also comes with a bezel less display and is powered by Exynos processor. It is backed by a 3500mAh battery and is dust and water resistant. 24. ​ Google Pixel 2 : Google Pixel 2 is the current flagship smartphone of Google and it comes with Android 8.0 Oreo out-of-the-box. The smartphone is powered by Qualcomm Snapdragon 835 processor coupled with 4GB of RAM. Selling at a starting price tag of Rs 48,940, the handset offers 64GB and 128GB of internal storage. The device comes with IP67 rating which makes it dust and water resistant. 25. ​ Google Pixel 2 XL : Google Pixel 2 XL is the bigger version of Pixel 2 and it was also launched with Android Oreo. The smartphone is presently available at Rs 58,500 and is powered by Qualcomm Snapdragon 835 processor. The device comes in two storage versions -- 64GB and 128GB and is also water and dust resistant like the Pixel 2. 26. ​ Google Pixel : Google Pixel is the last year’s flagship of Google and the device runs the latest Android Oreo operating system. Presently selling at Rs 39,640, the smartphone is powered by Qualcomm Snapdragon 821 processor and is available in two storage variants -- 32GB and 128GB. The device comes with 4GB of RAM and 12MP rear camera with LED flash. 27. ​ Google Pixel XL : Google Pixel Xl is one the first smartphones that received the Android 8.0 Oreo operating system. Just like the Google Pixel, this one also comes with Qualcomm Snapdragon 821 processor paired with 4GB of RAM. It comes in two storage variants 32GB and 128GB and is selling at a starting price tag of Rs 39,649. This one also has a 12MP rear camera with LED flash. 28. ​ OnePlus 5T : Despite being the flagship smartphone the OnePlus 5T started receiving Android Oreo update this month. The device is backed by a 3300 mAh battery with fast charging and is powered by Qualcomm Snapdragon 835 processor. This one comes in two variants - 6GB RAM and 64GB internal storage, 8GB RAM and 128GB inbuilt storage. The smartphone is the first to come with bezel-less display and dual rear camera. 29. ​ Nokia 8 : Nokia 8 is the high-end smartphone of the company and it received Android Oreo update last year in December. The device comes with a dual rear camera setup and is powered by Qualcomm Snapdragon 835 processor. It is backed by a 3000 mAh battery and offers 4GB RAM and 64GB internal storage. 30. ​ OnePlus 5 : OnePlus 5 started receiving Android Oreo update from January this year. The smartphone comes with a dual rear camera setup with 16MP and 20MP rear camera with LED flash. There’s also a 16MP front shooter for selfies. The device is powered by Qualcomm Snapdragon 835 processor paired with 6GB/8GB of RAM. The smartphone comes with a starting price tag of Rs 32,999 and is backed by a 3300mAh battery. 31. ​ Sony Xperia XZs : Sony Xperia XZs was launched in 2017 and it came with Android 7.0 Nougat operating system. The smartphone recently received Android Oreo update. The smartphone has stereo speakers and a 2900mAh battery.The smartphone runs Qualcomm Snapdragon 820 processor coupled with 4GB of RAM and 32GB internal storage. 32. OnePlus 3 : OnePlus 3 was launched in 2016 and the company started rolling out Android Oreo update in November last year. The smartphone comes with 6GB of RAM and is powered by Qualcomm Snapdragon 820 processor. It sports a 5.5-inch Optic AMOLED full HD display and features a 16MP rear and 8MP selfie camera. 33. ​ Sony Xperia XZ1 : Sony Xperia XZ1 is the first non-Google smartphone to come with Android Oreo out-of-the-box. The main highlight of the smartphone is its 3D scanning mode that lets the device capture high-resolution 3D images of an object. The device is powered by Qualcomm Snapdragon 835 processor paired with 4GB of RAM and 64GB internal storage. 34. OnePlus 3T : OnePlus 3T is the successor of OnePlus 3 and the device received Android Oreo update at the same time as OnePlus 3. The device comes with a 16MP primary and secondary camera and is powered by Qualcomm Snapdragon 820 processor. 35. ​ Honor V10 : Huawei’s sub-brand Honor launched its flagship smartphone V10 last year in December. Launched at Rs 29,999, this is the first smartphone of the company to come with Android 8.0 Oreo out-of-the-box. The smartphone is sports a bezel-less 5.99-inch display and is powered by company own Kirin 970 processor. It offers 6GB of RAM and 128GB internal storage which can be expanded further. 36. Nokia 6 : Nokia 6 is the budget smartphone of the company which it launched in June last year. The smartphone received Android Oreo update recently and the update also includes the recent security patch. The handset is powered by Qualcomm Snapdragon 430 processor. It packs 4GB RAM, 64GB internal storage and 3000mAh battery. 37. Honor 9 Lite : Honor 9 Lite is the first smartphone launch of Huawei in 2018. This one also comes with Android Oreo and is priced at Rs 10,999. The smartphone comes with a quad camera setup. This means that the device has a 16MP + 2MP camera at both rear and front end. This one also sports a bezel-less display of 5.65-inch and is powered by Huawei’s own Kirin 659 processor. 38. Sony Xperia XZ : Launched in 2016, the Sony Xperia XZ also received Android Oreo update last year. The smartphone was launched with Android 7.0 Nougat and is powered by Qualcomm Snapdragon 820 processor. The main highlight of the smartphone is its 23MP rear camera with triple image sensing technology that includes EXMOR sensor combined with Predictive Hybrid AF, laser autofocus and RGBC infrared sensor for light adjustment. The handset offers 3GB of RAM and 64GB internal storage. 39. ​ Moto X4 : Launched in November last year the Moto X4 is now running on Android 8.0 Oreo operating system. The device is powered by an octa-core Qualcomm Snapdragon 630 processor paired with 4GB/6GB of RAM and comes at a starting price tag of Rs 20,999. The device sports a dual rear camera setup with 2MP dual autofocus pixel sensor + 8MP ultra wide-angle sensor with 120-degree field of view. There is also a 16MP front shooter for selfies. It is backed by a 3000 mAh battery with fast charging support. 40. ​ Xiaomi Mi A1 : Xiaomi Mi A1 is the first Android One smartphone of the company and it recently received Android Oreo update.The device comes with the 5.5-inch full HD display and 4GB RAM and 64GB internal storage.The smartphone is powered by Qualcomm Snapdragon 625 processor and is selling at Rs 13,999. 41. ​ Honor 8 Pro : The Honor 8 Pro is the mid-range smartphone of the company which was launched in June last year. The company has now started rolling out Android 8.0 Oreo update for the device with the EMUI 8.0 and latest security patch. The handset is powered by the company’s own Kirin 960 processor coupled with 6GB of RAM and 128GB internal storage. 42. Nexus 5X : Launched in 2015, the Nexus 5X is one of the oldest smartphone to receive Android 8.0 Oreo update. This Google smartphone was manufactured by LG and is powered by Qualcomm Snapdragon 808 processor. The handset offers 2GB of RAM and 32GB internal storage. It is backed by a 2700mAh battery and sports a 5.2-inch display. 43. ​ Huawei 6P : Huawei 6P is also one of the oldest smartphone to receive Android 8.0 Oreo operating system. The device is powered by Qualcomm Snapdragon 810 processor coupled with 3GB of RAM 12MP rear and 8MP front shooter for selfies. While HTC is yet to reveal formal details around the HTC U12+, the smartphone has been in the headlines for the past few months. Its design renders and case images already surfaced to highlight a dual rear camera setup and a thin-bezel, 18:9 display. 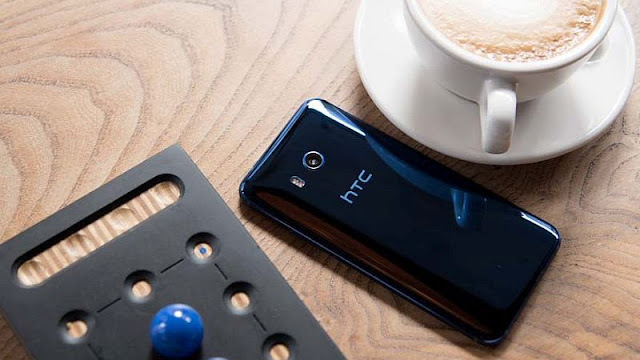 And now, few closer shots of the HTC U12+ has emerged online that a detailed view of the upcoming HTC flagship. Some camera samples of the next HTC smartphone have also been leaked to showcase its camera features. Verizon, on the other hand, has listed the key specifications of the HTC U12. There are speculations that the HTC U12+ will be launched in Taiwan sometime later this month. However, the Taiwanese company hasn't announced any concrete launch schedule. Starting with the images of the HTC U12+, courtesy HTC Taiwan News Facebook page, these give a hands-on look at the unannounced smartphone. 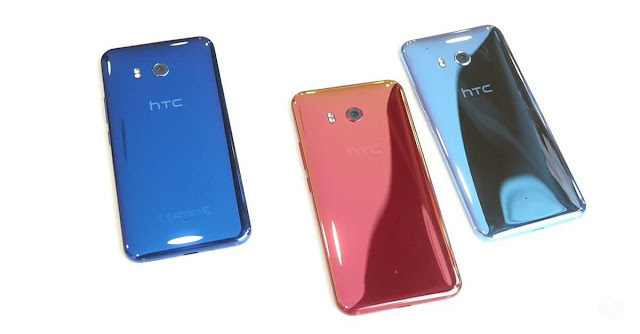 The images show that the HTC U12+ has a glossy back that reminds us the last year launched HTC U11+. Also, there is apparently a golden finish, while the front of the smartphone is in Black colour. The back of the handset shows us the dual rear camera setup that is accompanied by a dual-LED flash. Below the camera setup, there is seemingly a fingerprint sensor. On the front, the smartphone appears to have a dual selfie camera and the bottom of the phone has a USB Type-C port. The side of the smartphone has three individual buttons that are likely to be used for power on/ off and controlling the volume. Looking at the metadata available from the camera samples, which have been posted on Google Plus, the HTC U12+ is expected to have two different lenses on the dual rear camera setup with f/1.8 and f/2.6 aperture sizes. The smartphone might also have a variable aperture option on a single lens - similar to the Samsung Galaxy S9. Each of the camera samples comes in a 12-megapixel resolution. This suggests that the rear camera setup will come two 12-megapixel image sensors. 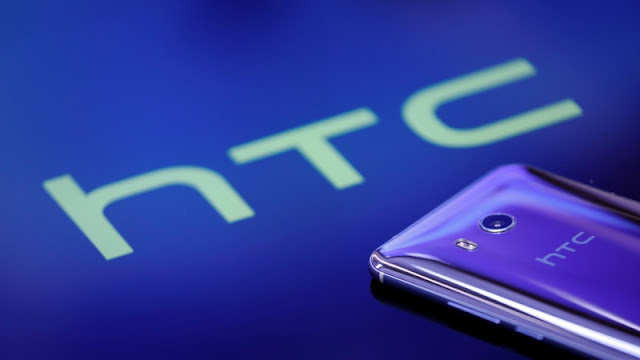 In contrast, some of the previous reports claimed that the dual rear camera setup of the HTC U12+ will come with a 16-megapixel primary sensor and a 12-megapixel secondary sensor. The smartphone is also rumoured to come with two 8-megapixel sensors on the front. On the part of other specifications, the HTC U12+ is reported to have a 5.99-inch LCD panel with a QHD+ resolution, Qualcomm Snapdragon 845 SoC, 6GB RAM, 64GB/ 128GB onboard storage, and a 3420mAh battery. Apart from the HTC U12+, HTC is seemingly preparing the U12. Though some recent reports state that the company could ditch the U12 and launch the U12+ only, Verizon has listed the key specifications of the U12 to suggest its existence. As spotted by folks at GSMArena, Verizon has listed the HTC U12 specifications through its Open Development site that showcases the devices that are being designed to work with the Verizon network. The online listing reportedly showed that the HTC U12 will run Android Oreo and feature a 6-inch Super WQHD LCD panel along with a "Frame less Display" design. It is unclear whether the smartphone is powered by the top-notch Snapdragon 845 SoC as the listing shows LTE Cat.12 support not the Cat.18 and Cat.13 for downloads and uploads. Having said that, the listing might just be limited to the Verizon version of the handset. At the time of filing this story, we weren't able to separately verify the reported specifications as Verizon deleted the details from the listing. It seems that we need to wait for sometime to see what HTC is cooking up for 2018 to take on the compelling models offered by Apple, Samsung, and other key smartphone vendors. A report by Taiwanese website ePrice citing sources says HTC will start selling the U12+ flagship smartphone in its home market towards May-end or early June. It says the company plans to launch Desire 12, Desire 12+ and the U12+ in Taiwan, and that it will be the U12+ that hits the market first among them. Do note, however, that the Desire 12 and Desire 12+ have already been announced globally. The report also claims that the U12+ will sport a large 6-inch display, possibly with a full-HD+ (1080x2160 pixels) resolution. Apart from that, the HTC U12+ might get 64GB/ 128GB inbuilt storage variants and a Qualcomm Snapdragon 845 SoC. As for pricing, the smartphone is said to be priced at TWD 24,990 (roughly Rs. 55,900). 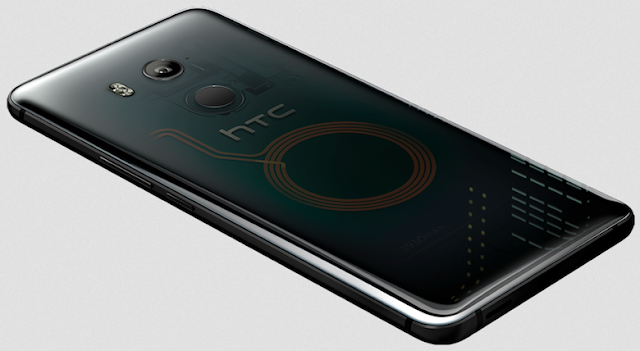 In terms of specifications, the HTC U12+ has been previously rumoured to sport a 5.99-inch LCD display with a QHD+ resolution and 18:9 aspect ratio. There is expected to be a 3420mAh battery under the hood. On the software front, the flagship might run HTC's Sense UI on top of Android Oreo out-of-the-box, with Edge Sense functionality. Other expected features include Face Unlock capabilities, IP68 water and dust resistance rating, and an 8-megapixel front camera. A recent leak around case renders suggest the HTC U12+ will sport a horizontal dual camera setup, an LED flash, a rear-mounted fingerprint sensor, and HTC branding on the back. And as mentioned above, the HTC Desire 12 and Desire 12+ were launched late last month featuring 18:9 displays. Key features on the two mid-range smartphones include face unlock detection and a dual camera setup (latter only on Desire 12+). Last month, we got to know the key details of the upcoming HTC U12+ smartphone. The rumors also suggest the company to skip launching the HTC U12 smartphone this year. However, the HTC U12 smartphone is now leaked in full glory. Just like its elder sibling, the HTC U12 also comes with the metal frame and curved glass back body. The leaked image of the retail box reveals the complete specifications of the device. Apart from the smaller screen size, the HTC U12 packs same internals as seen the HTC U12+. The HTC U12 comes with a 5.5-inch display with Quad HD+ (2880 x 1440 pixels) resolution and 18:9 aspect ratio. Unlike other manufacturers, HTC isn’t yet embracing the notch. The device comes protected with Corning Gorilla Glass 5 on the front and rear. Under the hood, it comes powered by 10nm Qualcomm Snapdragon 845 octa-core processor coupled with Adreno 630 GPU and 8GB of RAM. While this particular variant comes with 128GB of onboard storage, we also expect to see at least one more storage variant. There is also a MicroSD card slot for expanding the storage up to 2TB. It also supports dual SIM dual standby and offers 4G VoLTE connectivity. The device runs on Android 8.0 Oreo out of the box with Sense UI laid on top. Talking about the cameras, the HTC U12 is mentioned to come with a single 12MP Ultra Pixel 4 camera with f/1 .5 aperture. For selfies, there is a dual camera setup featuring dual 8MP sensors on the front. Both the front and rear cameras support OIS for super smooth videos. With the HTC U12 smartphones, the company will be introducing the Edge Sense 2. It will be supporting Quick Charge 4+ and also wireless charging. The device can also record 3D audio and includes Hi-Res BoomSound speakers. Since the device lacks 3.5mm audio jack, the company will be offering HTC Usonic wireless earphones. The HTC u12 will come equipped with a fingerprint sensor and includes NFC support. As of now, there is no information about the launch date of these new flagship devices from HTC. Stay tuned on PhoneRadar for more details! 1. Nokia 5 Nokia 5 received Android 8.0 Oreo update earlier this year. The smartphone was launched in June last year along with the Nokia 6 and Nokia 3. The smartphone comes with a 5.2-inch IPS LCD display and 2GB of RAM and 16GB internal storage. The device is backed by a 3000mAH battery and Qualcomm Snapdragon 430 processor. It sports a 13MP rear and 8MP front facing camera. 2. Nokia 3 Nokia 3 was also launched last year with Android 7.0 Nougat operating system out-of-the-box. The company has now started the beta testing of Android 8.0 operating system for the smartphone. The handset has a 5-inch HD display and is powered by quad-core MediaTek processor. It houses a 8MP rear and front camera and 2300mAH battery. 3. ​ HTC U11 HTC U11 is the flagship smartphone of the company which was launched last year in June. The Taiwanese manufacturer has now started rolling out Android 8.0 Oreo update for the smartphone. The main highlight of the U11 is its ‘squeezable' side bezels. The smartphone consists of eight sensors on the side bezels to register the squeeze. These sensors are integrated with the Edge Sense and can be used to launch any app through long press. It is powered by Qualcomm Snapdragon 835 processor paired with 8GB of RAM. 4. HTC 10 HTC launched its HTC 10 smartphone in April 2016. The company has now started rolling out Android 8.0 Oreo update for the same. This is the second big update for the device as it received Android Nougat update in February last year. The HTC 10 is powered by Qualcomm Snapdragon 820 processor clubbed with 4GB of RAM. The device sports a 5.2-inch QHD super LCD display and 12MP UltraPixel camera at the back along with a 5MP selfie camera. 5. Infinix Note 4 Infinix Note 4 is the budget smartphone of the company and it has recently received Android 8.0 Oreo update. The device is powered by octa-core MediaTek processor paired with 3GB of RAM and 32GB internal storage. It is backed by a 4300mAH battery and 5.7-inch full HD display. The smartphone sports a 13MP primary camera and 8MP secondary shooter. 6. ​ Samsung Galaxy S8 Samsung Galaxy S8 is the high-end smartphone from Samsung to receive Android 8.0 Oreo operating system update. The smartphone comes with Infinity display and is powered by company’s own Exynos processor. It offers 4GB of RAM and 64GB internal storage which can be expanded further. 7. ​ Samsung Galaxy S8+ Along with the Samsung Galaxy S8, the Galaxy S8+ also received Android Oreo update with the latest security patch. This also comes with a bezel less display and is powered by Exynos processor. It is backed by a 3500mAh battery and is dust and water resistant. 8. ​ Google Pixel 2 Google Pixel 2 is the current flagship smartphone of Google and it comes with Android 8.0 Oreo out-of-the-box. The smartphone is powered by Qualcomm Snapdragon 835 processor coupled with 4GB of RAM. Selling at a starting price tag of Rs 48,940, the handset offers 64GB and 128GB of internal storage. The device comes with IP67 rating which makes it dust and water resistant. 9. ​ Google Pixel 2 XL Google Pixel 2 XL is the bigger version of Pixel 2 and it was also launched with Android Oreo. The smartphone is presently available at Rs 58,500 and is powered by Qualcomm Snapdragon 835 processor. The device comes in two storage versions -- 64GB and 128GB and is also water and dust resistant like the Pixel 2. 10. ​ Google Pixel Google Pixel is the last year’s flagship of Google and the device runs the latest Android Oreo operating system. Presently selling at Rs 39,640, the smartphone is powered by Qualcomm Snapdragon 821 processor and is available in two storage variants -- 32GB and 128GB. The device comes with 4GB of RAM and 12MP rear camera with LED flash. 11. ​ Google Pixel XL Google Pixel Xl is one the first smartphones that received the Android 8.0 Oreo operating system. Just like the Google Pixel, this one also comes with Qualcomm Snapdragon 821 processor paired with 4GB of RAM. It comes in two storage variants 32GB and 128GB and is selling at a starting price tag of Rs 39,649. This one also has a 12MP rear camera with LED flash. 12. ​ OnePlus 5T Despite being the flagship smartphone the OnePlus 5T started receiving Android Oreo update this month. The device is backed by a 3300 mAh battery with fast charging and is powered by Qualcomm Snapdragon 835 processor. This one comes in two variants - 6GB RAM and 64GB internal storage, 8GB RAM and 128GB inbuilt storage. The smartphone is the first to come with bezel-less display and dual rear camera. 13. ​ Nokia 8 Nokia 8 is the high-end smartphone of the company and it received Android Oreo update last year in December. The device comes with a dual rear camera setup and is powered by Qualcomm Snapdragon 835 processor. It is backed by a 3000 mAh battery and offers 4GB RAM and 64GB internal storage. 14. ​ OnePlus 5 OnePlus 5 started receiving Android Oreo update from January this year. The smartphone comes with a dual rear camera setup with 16MP and 20MP rear camera with LED flash. There’s also a 16MP front shooter for selfies. The device is powered by Qualcomm Snapdragon 835 processor paired with 6GB/8GB of RAM. The smartphone comes with a starting price tag of Rs 32,999 and is backed by a 3300mAh battery. 15. ​ Sony Xperia XZs Sony Xperia XZs was launched in 2017 and it came with Android 7.0 Nougat operating system. 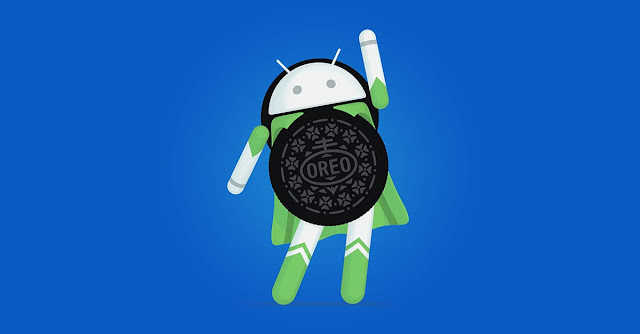 The smartphone recently received Android Oreo update. The smartphone has stereo speakers and a 2900mAh battery.The smartphone runs Qualcomm Snapdragon 820 processor coupled with 4GB of RAM and 32GB internal storage. 16. OnePlus 3 OnePlus 3 was launched in 2016 and the company started rolling out Android Oreo update in November last year. The smartphone comes with 6GB of RAM and is powered by Qualcomm Snapdragon 820 processor. It sports a 5.5-inch Optic AMOLED full HD display and features a 16MP rear and 8MP selfie camera. 17. ​ Sony Xperia XZ1 Sony Xperia XZ1 is the first non-Google smartphone to come with Android Oreo out-of-the-box. The main highlight of the smartphone is its 3D scanning mode that lets the device capture high-resolution 3D images of an object. The device is powered by Qualcomm Snapdragon 835 processor paired with 4GB of RAM and 64GB internal storage. 18. OnePlus 3T OnePlus 3T is the successor of OnePlus 3 and the device received Android Oreo update at the same time as OnePlus 3. The device comes with a 16MP primary and secondary camera and is powered by Qualcomm Snapdragon 820 processor. 19. ​ Honor V10 Huawei’s sub-brand Honor launched its flagship smartphone V10 last year in December. Launched at Rs 29,999, this is the first smartphone of the company to come with Android 8.0 Oreo out-of-the-box. The smartphone is sports a bezel-less 5.99-inch display and is powered by company own Kirin 970 processor. It offers 6GB of RAM and 128GB internal storage which can be expanded further. 20. Nokia 6 Nokia 6 is the budget smartphone of the company which it launched in June last year. The smartphone received Android Oreo update recently and the update also includes the recent security patch. The handset is powered by Qualcomm Snapdragon 430 processor. It packs 4GB RAM, 64GB internal storage and 3000mAh battery. 21. Honor 9 Lite Honor 9 Lite is the first smartphone launch of Huawei in 2018. This one also comes with Android Oreo and is priced at Rs 10,999. The smartphone comes with a quad camera setup. This means that the device has a 16MP + 2MP camera at both rear and front end. This one also sports a bezel-less display of 5.65-inch and is powered by Huawei’s own Kirin 659 processor. 22. Sony Xperia XZ Launched in 2016, the Sony Xperia XZ also received Android Oreo update last year. The smartphone was launched with Android 7.0 Nougat and is powered by Qualcomm Snapdragon 820 processor. The main highlight of the smartphone is its 23MP rear camera with triple image sensing technology that includes EXMOR sensor combined with Predictive Hybrid AF, laser autofocus and RGBC infrared sensor for light adjustment. The handset offers 3GB of RAM and 64GB internal storage. 23. ​ Moto X4 Launched in November last year the Moto X4 is now running on Android 8.0 Oreo operating system. The device is powered by an octa-core Qualcomm Snapdragon 630 processor paired with 4GB/6GB of RAM and comes at a starting price tag of Rs 20,999. The device sports a dual rear camera setup with 2MP dual autofocus pixel sensor + 8MP ultra wide-angle sensor with 120-degree field of view. There is also a 16MP front shooter for selfies. It is backed by a 3000 mAh battery with fast charging support. 24. ​ Xiaomi Mi A1 Xiaomi Mi A1 is the first Android One smartphone of the company and it recently received Android Oreo update.The device comes with the 5.5-inch full HD display and 4GB RAM and 64GB internal storage.The smartphone is powered by Qualcomm Snapdragon 625 processor and is selling at Rs 13,999. 25. ​ Honor 8 Pro The Honor 8 Pro is the mid-range smartphone of the company which was launched in June last year. The company has now started rolling out Android 8.0 Oreo update for the device with the EMUI 8.0 and latest security patch. The handset is powered by the company’s own Kirin 960 processor coupled with 6GB of RAM and 128GB internal storage. 26. Nexus 5X Launched in 2015, the Nexus 5X is one of the oldest smartphone to receive Android 8.0 Oreo update. This Google smartphone was manufactured by LG and is powered by Qualcomm Snapdragon 808 processor. The handset offers 2GB of RAM and 32GB internal storage. It is backed by a 2700mAh battery and sports a 5.2-inch display. 27. ​ Huawei 6P Huawei 6P is also one of the oldest smartphone to receive Android 8.0 Oreo operating system. The device is powered by Qualcomm Snapdragon 810 processor coupled with 3GB of RAM 12MP rear and 8MP front shooter for selfies. At the MWC 2018, Samsung and Sony unveiled their 2018 flagship smartphones powered by Qualcomm Snapdragon 845 Mobile Platform. In the coming months, we will be seeing flagship smartphones from other major manufacturers like HTC, LG, and Huawei. Now, we got to know the key specifications of the HTC’s upcoming flagship smartphone. It will be launching the HTC U12 as the successor to last year’s HTC U11. The recent rumors also suggest the company to soon launch the HTC Desire 12 and Desire 12 Plus smartphones with 18:9 displays. Talking about the HTC U12, it is said to come with minimal design changes when compared to its predecessor. The device is codenamed as HTC Imagine and sports a 5.99-inch display with Quad HD+ (2880 x 1440 pixels) resolution and 18:9 aspect ratio. The HTC U11+ launched in second half of 2018 is the first ever HTC smartphone to offer 18:9 display. Under the hood is the 10nm Qualcomm Snapdragon 845 Mobile Platform coupled with Adreno 630 GPU. It comes in 4GB and 6GB RAM variants and offers up to 256GB of internal storage. On the rear, the HTC U12 sports dual rear cameras with 12MP & 16MP sensors. For selfies, the device comes with an 8MP front-facing camera. Apart from the fingerprint sensor, the device will also support Face Unlock for authentication. The HTC U12 will be backed by a 3,420mAh non-removable battery and will support fast charging technology. With this device, HTC will also introduce Edge Sense 2.0, and we expect it to be a bit more responsive. It will be running on the Android Oreo out of the box with the Sense UI laid on top. 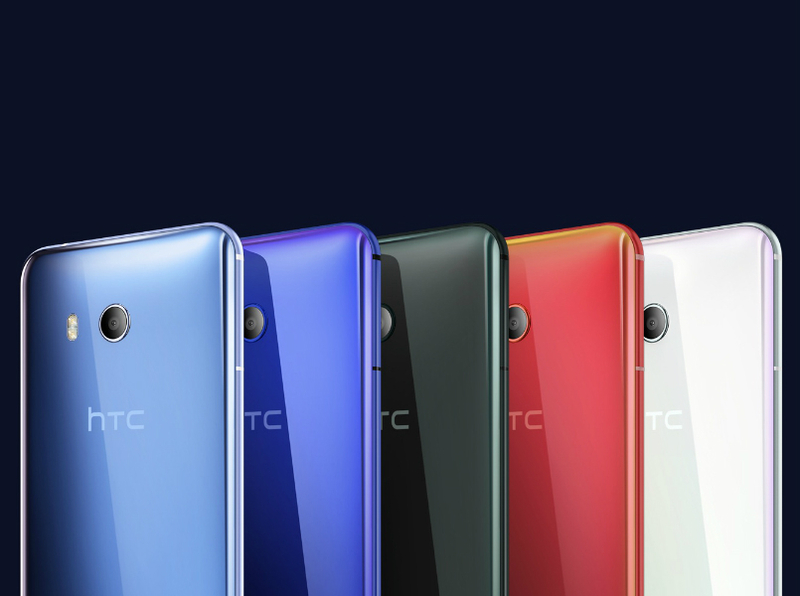 Depending on the markets, the HTC U12 will be available in single or dual SIM variants. It will also be water and dust resistant, thanks to the IP68 certification. We expect more leaks about the HTC U12 smartphone to follow soon. Stay tuned on PhoneRadar for more details. HTC did not launch a flagship smartphone this year, but the company seems to be in-line with its schedule of May launch. 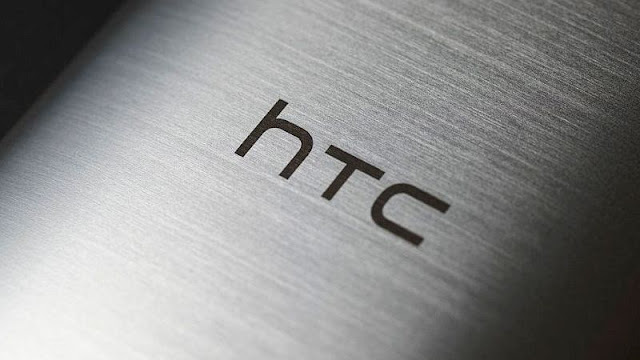 The upcoming HTC flagship smartphone codenamed HTC Imagine will feature top-of-the-line specifications as per a new leak. LlabTooFeR, the popular HTC ROM developer on Twitter revealed the complete spec-sheet of the upcoming HTC Imagine smartphone. And there are not many surprises on the list. HTC already confirmed that it would be launching a dual camera smartphone this year and the first one will be the Imagine. And it will be powered by the Snapdragon 845 SoC, which is pretty much expected and it will be released in a single SIM, dual SIM variants depending on the location. That said, most of the specifications of the Imagine smartphones are similar to the HTC U11+ device, sans the upgraded innards. Right off the bat, the HTC Imagine smartphone will flaunt a 5.99-inch Quad HD+ display on the front, and as stated, it will be powered by the Snapdragon 845 chipset. The device will feature up to 6GB of RAM, and surprisingly, the tipster suggests the phone will come with 256GB of internal storage. Moving on, the HTC Imagine will offer a dual camera setup at the back. The primary sensor will be a 12MP RGB unit, and it will be coupled to a 16MP Sony sensor. The secondary sensor could feature telephoto lens. To the front, the Imagine will have an 8MP shooter and guess what, the phone will come with HTC Face Unlock feature to help to unlock the device with your face. As usual, the smartphone will be IP68 water and dust resistant one, and it will come with Edge Sense 2.0, meaning HTC will be upgrading the Squeeze feature on the Imagine. Expect the Pixel 3 devices to come with similar technology. Besides these features, the phone is said to boot Android 8.0 Oreo out of the box with Sense UI 10 on top. And it will be fully compatible with Project Treble, so expect HTC to roll out Android P update to the smartphone as soon as Google announces it. This entire package will be backed by a 3420mAh battery to keep running. Overall, the specifications of the HTC Imagine seems powerful on paper, but HTC devices are not received well by the consumers in recent times. So it will be a tough task for the Taiwanese brand get back into the market. Also, the HTC Imagine might be called as HTC U12. HTC Desire 12 Plus has been leaked. The development follows the leak of the original, smaller variant - HTC Desire 12 - from last month. Said to sport an 18:9 display, the Desire 12's retail box was also leaked, tipping detailed specifications. Now, detailed specifications of HTC Desire 12 Plus have hit the Web, and point to the use of a 5.99-inch display on what is thought to be an upcoming large-screen affordable smartphone from the Taiwanese electronics giant that's having a tough time staying afloat in the intensely mobile competitive market. According to a report by Android Headlines, the HTC Desire 12 Plus is codenamed Breeze Plus - which fits with the Breeze codename that had been leaked for the smaller HTC Desire 12. As per the report, the HTC Desire 12 Plus bears a 5.99-inch HD+ (720x1440 pixels) TFT display with an 18:9 aspect ratio and a pixel density of 268ppi. It is said to be powered by an octa-core Qualcomm Snapdragon 450 SoC, clocked at up to 1.8GHz. The Desire 12 Plus is also tipped to bear a 13-megapixel rear camera, and an 8-megapixel front camera. As for storage, the HTC Desire 12 Plus is reported to feature 32GB of inbuilt storage that's expandable via microSD card. Connectivity options include support for a range of LTE bands, including Band 3 and Band 40. It is said to be powered by a 2965mAh battery, with Qualcomm Quick Charge 3.0 support that can fully recharge the battery in 2 hours and 10 minutes with a 5V/1.5A charger. It measures 158.24x76.54x8.39mm and weighs 155.01 grams. It can be expected to run Android Oreo, as the Desire 12 was also tipped to run the same version of Android. To recall, the HTC Desire 12 was first leaked by prolific tipster, Evan Blass (aka @evleaks). A later leak detailed the specifications, claiming the dual-SIM (Nano) Desire 12 features a 5.5-inch HD+ (720x1440 pixels) display and is powered by a quad-core MediaTek SoC, coupled with 3GB of RAM. The handset is also reported to come with a 12-megapixel PDAF camera sensor on the back, supporting 1080p video recording, and a 5-megapixel BSI camera sensor on the front. Further, it is spotted with a microSD card support (up to 2TB), 2730mAh battery, Wi-Fi 802.11 a/b/g/n, 4G LTE, and Bluetooth. Blass had claimed the HTC Desire 12 would run Oreo, and sport 2GB RAM, a 13-megapixel rear camera sensor, 8-megapixel front camera sensor, and 16GB onboard storage. HTC joined the 18:9 display bandwagon by launching the HTC U11 Plus smartphone in late last year. Now, the rumors suggest the upcoming Desire 12 smartphone will be first from Desire series to feature the same 18:9 display. It is codenamed as Breeze and might go official in the next few weeks. While the company launched Desire 10 smartphones 2017, it seems to skip the Desire 11 lineup. While the flagship devices from HTC at least make some worth for the premium build quality and top-notch specifications, its Desire smartphones are nothing but overpriced devices with outdated specifications. Now, the upcoming HTC Desire 12 also follows the same path with mediocre specifications. We also expect it to cost nothing less than a few hundred dollars. It is mentioned to feature a 5.5-inch display with 18:9 aspect ratio. Under the hood, it will come powered by an unspecified MediaTek processor. There is 2GB of RAM and 16GB of internal storage which can be further expanded via a MicroSD card slot. In the camera department, the HTC Desire 12 sports a 13MP rear camera and a 5MP selfie camera. With all these specifications, the device will be backed by a 2,730mAh non-removable battery. It should be running on the latest Android 8.0 Oore out of the box. As of now, the company hasn’t confirmed about its presence at the upcoming Mobile World Congress. Even Huawei and LG are skipping their 2018 flagship smartphone launches at the MWC 2018. While the Samsung Galaxy S9 & Galaxy S9+ will be unveiled at MWC, Huawei has confirmed to launch the Huawei P20 smartphones on March 27th in Paris, France. HTC should unveil the HTC U12 smartphone as the successor to HTC U11 in the coming months. On the HTC side, last year’s Pixel and Pixel XL were internally codenamed S1 and M1, respectively. With HTC widely assumed to be manufacturing at least one Pixel device this year, possible codenames have surfaced and point to the use of a Snapdragon 835 processor and unlocked configuration. This news comes after HTC Soku (translation), a Japanese blog, took a look at the HTC U11’s system files. In addition to listing international variants of the Ocean — the codename for the U11 — there are references to S2 and M2 devices. Given last year’s naming pattern, it is likely that these codenames are for the smaller ‘walleye’ Pixel successor and the reportedly canned ‘muskie’ Pixel XL. Assuming that the codenames do correspond to this year’s upcoming phones, HTC Soku makes two assumptions. As the other devices on the list use the Snapdragon 835 processor, the same can be assumed for the S2 and M2. Additionally, both of those models do not feature carrier configurations, pointing to unlocked devices. It’s best to take this references with a grain of salt, but they very much fall in-line with expectations for Google’s 2017 flagship devices. While the HTC-developed muskie has been rumored to be scrapped for a larger ‘taimen’ device manufactured by LG, this information still stands for the next, smaller Pixel. 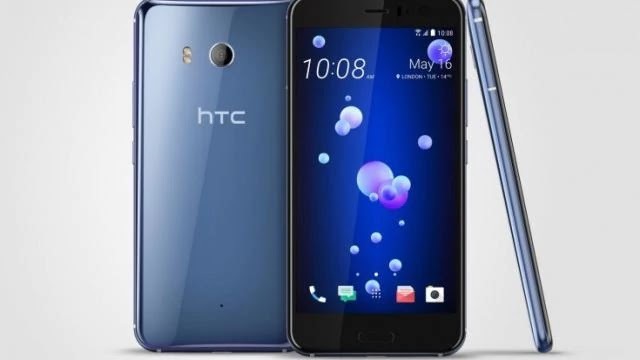 HTC, a pioneer in innovative smart technologies, has announced the availability of its flagship HTC U11 smartphone in Saudi Arabia. 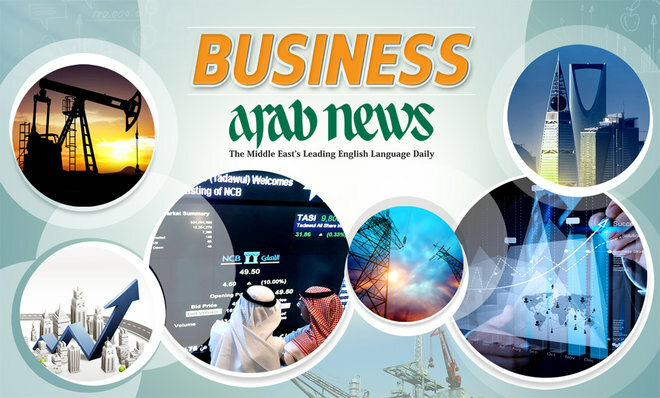 Following its global unveiling last month, the smartphone is now available at SR2,599 ($692) at leading retailers in the Kingdom and across the Middle East. 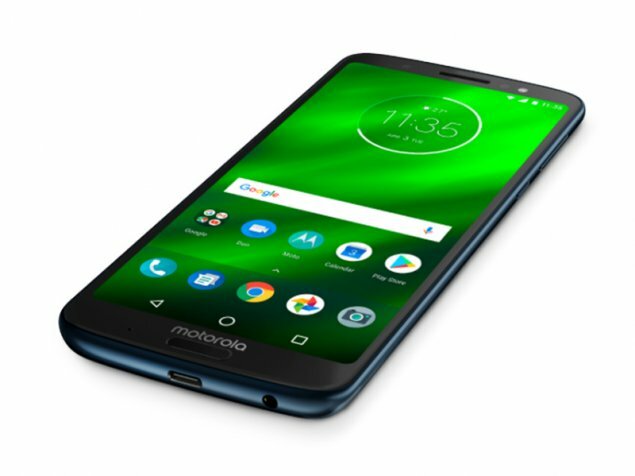 The device combines Edge Sense technology, the highest-ever ranked smartphone camera, intelligent personal audio with noise cancelation ability, superior performance powered by the Qualcomm Snapdragon 835 Mobile Platform, 6GB RAM/128GB storage, an IP67 dust and water resistant rating, and multiple AI assistants for a smarter smartphone experience. The HTC U11 is available in Amazing Silver, Sapphire Blue, Brilliant Black, Ice White and Solar Red. Nikitas Glykas, president, HTC Middle East and Africa, said, “For HTC, it’s all about innovation with purpose, and the beautiful HTC U11 ushers in a new era that defines a more natural way to interact with your smartphone. The device introduces HTC Edge Sense which expands the functionality of the phone where the phone can now launch the camera and other preferred applications with just a squeeze of the hand. It also allows for increased mobility with Voice to Text where users can send texts on the go with a light squeeze gesture and activate advanced touch options with customizable actions such as a “short squeeze” as well as a “squeeze and hold” for additional functionality. The HTC U11 camera features more dynamic exposure range with HDR Boost, new white balance enhancement, a major reduction in noise, and excellent detail preservation. The new front camera combines high-resolution 16MP detail and UltraPixel light sensitivity for selfies day or night and utilizes the same powerful HDR Boost and noise reduction as the main camera. 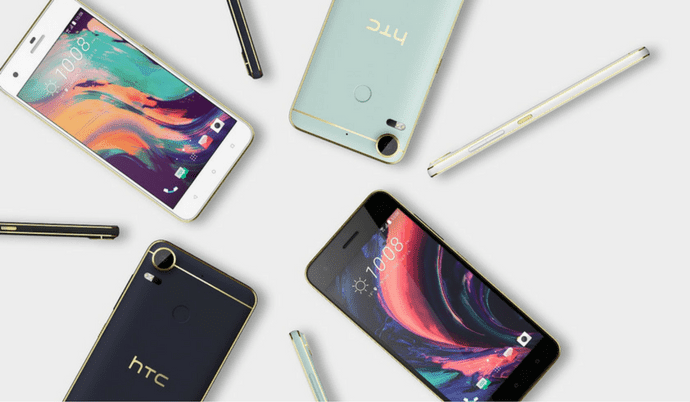 HTC has launched its sophisticated U11 flagship smartphone in India today. The smartphone’s highlight is the Edge Sense technology that allows one to either open an app or access the camera by applying pressure on the sides. The HTC U11 is available in two color choices of Brilliant Black, and Amazing Silver. 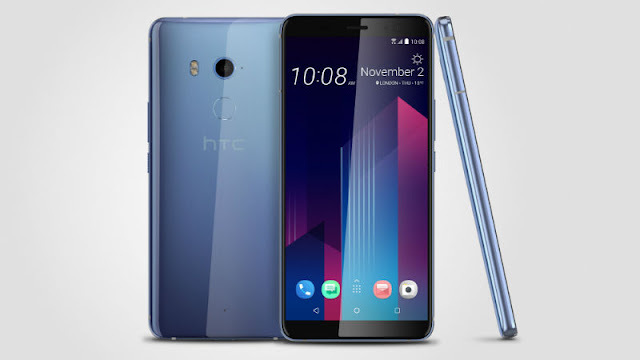 While the HTC U11 offers its unique Edge Sense technology, the smartphone will face heavy competition with existing flagship smartphones like the Samsung Galaxy S8, Xperia XZ Premium, LG G6 and Google Pixel. Here’s a comparison between all five smartphones on the basis of their price, specifications, and features. The HTC U11 and the LG G6 are the least priced here at Rs 51,990. The other four flagships also remain in the same price segment with the Sony Xperia XZ Premium priced at 59,990. The Samsung Galaxy S8 and Google Pixel have a slight difference with the former priced at Rs 57,900 and the latter at Rs 57,000. The HTC U11 features a 5.5-inch Quad HD display with Gorilla Glass 5 protection. The Sony Xperia XZ Premium stands as a winner here, as it boasts the world’s first 4K HDR display on a smartphone. Its 5.5-inch display also comes with Gorilla Glass 5 protection and Sony’s X-Reality engine to enhance the dynamic contrast. The Samsung Galaxy S8 has a bigger 5.8-inch edge-to-edge display with Quad HD resolution and aspect ratio of 18:5:9. The Galaxy S8’ display also supports 4K HDR10 and comes with Gorilla Glass 5 protection as well. The LG G6 features a 5.7-inch Quad HD ‘FullVision’ display with the aspect ratio of 18:9 and pixel density of 564ppi. The LG G6 too comes with Gorilla Glass 3 protection. The Google Pixel stands apart as it offers a small screen size which could be a preferred choice amongst some. The smartphone features a 5-inch full HD AMOLED display with 2.5D Gorilla Glass 4 protection. ALSO READ: LG G6 review: The flagship smartphone that you deserved, a year ago! The HTC U11 and the Xperia XZ Premium are both powered by Qualcomm’s most sought after Snapdragon 835 processor. The Galaxy S8’s US variant ships with the Snapdragon 835 SoC but, in India the smartphone comes with in-house Exynos 8895 SoC. The LG G6 and Google Pixel are both powered by the lower Snapdragon 821 processor. In terms of RAM and storage, the HTC U11 packs a bigger 6GB RAM plus 128GB storage as compared to the Galaxy S8, Xperia XZ Premium and LG G6 which come with 4GB RAM and 64GB storage (expandable). The Google Pixel also comes with 4GB RAM but has lesser onboard storage of 32GB which is not expandable. The HTC U 11 sports a 12-megapixel rear camera with UltraPixel technology, 5-axis OIS, EIS, f/1.7 aperture and 4K video recording support with 360-degree sound recording. Up front, the smartphone houses a 16-megapixel camera with 150-degree wide-angle lens. The LG G6 is the only one in the lot with a dual camera setup. The LG G6 features a pair of 13-megapixel rear cameras where one is a wide angle lens with field of view of 125-degrees, and the other is standard lens with field of view of 71-degrees. The smartphone also comes with a 5-megapixel front-facing camera. The Galaxy S8’s optic specifications include a 12-megapixel rear camera with OIS, EIS, PDAF and an 8-megapixel front-facing camera. The Sony Xperia XZ Premium and the Google Pixel both flaunt the most impressive camera specifications and features. The Xperia XZ Premium features a 19-megapixel rear camera with features like predictive capture, triple image sensing technology, predictive hybrid autofocus. It houses a 13-megapixel camera up front. The Xperia XZ premium also comes with Motion Eye technology making it capable of shooting super slow motion videos. It also comes with fast memory allowing the camera to shoot 960fps at 720p resolution. Google Pixel’s cameras received the high praise of ‘the best smartphone cameras ever made’ by DxOMark. The Pixel sports a 12.3-megapixel rear camera with Sony IMX378 sensor, HDR+, and zero shutter lag. The smartphone also features an 8-megapixel front-facing camera with Samsung S5K4H8/Omnivision OV8856 sensor. The HTC U11 and Galaxy S8 are both fuelled by a 3,000mAh battery. The Xperia XZ Premium and LG G6 are at a slightly higher state with a 3,230mAh and 3,300mAh batteries respectively. The Google Pixel on the other hand, comes with a smaller 2,770mAh battery. In terms of connectivity, all five smartphones come with 4G VoLTE support for HD calling, and a USB Type-C port. The HTC U11, Google Pixel and LG G6 have Bluetooth 4.2 support. While the Xperia XZ Premium and Galaxy S8 feature the latest Bluetooth 5.0. The Google Pixel has a single SIM support only, and the rest come with Hybrid dual-SIM support. 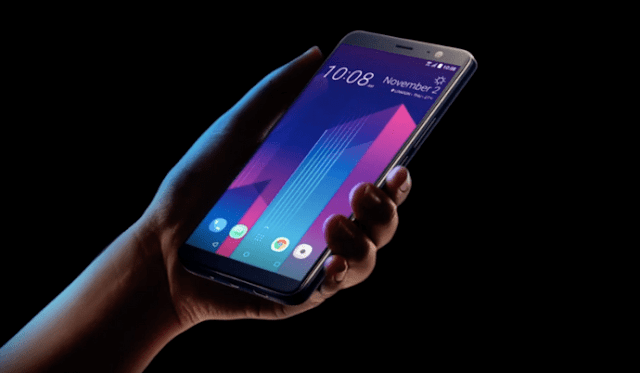 On the software front, the HTC U11 runs on Android 7.1 Nougat with HTC Sense, the Galaxy S8 on Android 7.0 Nougat with TouchWiz UI and the LG G6 on Android 7.0 Nougat with UX 6.0. The Google Pixel and Sony Xperia XZ Premium both run on Android 7.1. Nougat. The Google Pixel could be a preference here as it will be the first to receive Android O update amongst the others.